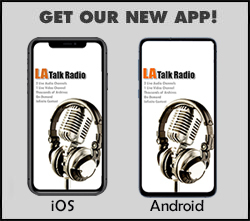 Live from Los Angeles every weekday morning Sam and Danni bring you an entertaining and irreverent show that mixes a variety of the day's topics with funny and smart conversation. The show features a breadth of fascinating guests, bestselling authors and celebrities. Enjoy your morning at the office with spicy talk and smart humor. Call in live and chat with us. 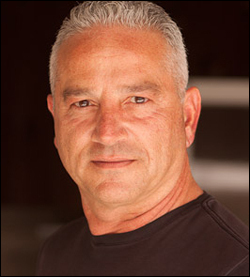 Live from Los Angeles every weekday morning Sam and Rachel bring you an entertaining and irreverent show that mixes a variety of the day's topics with funny and smart conversation. The show features a breadth of fascinating guests, bestselling authors and celebrities. Enjoy your morning at the office with spicy talk and smart humor. Call in live and chat with us. What do I say about myself on my own website? Wait, I could say anything I want: it's MY website! For the sake of good radio I won't tell you my entire life story here. Instead, I invite you discover who I am and what I'm about on the air. Rather than tell you, I'll show you. What drives me is an insatiable curiosity to know and do everything. And then pass on what I have learned to other people. Does that sound like someone who ought to be in radio?